The UK’s foremost bedding manufacturer BEDMAX has just announced the promotion of Brent Adamson, who will take up the role of Head of Sales. A highly experienced equine and racing industry specialist, for the last three years Brent has held the position of Racing and Thoroughbred Sales Manager for BEDMAX, with additional responsibility for International Sales. Brent has a lifetime’s experience within the equine industry and an in-depth knowledge of the global horse bedding market. In this newly created position, he will take over responsibility for the company’s sales division, managing its UK-wide sales team, while continuing to proactively promote BEDMAX to the thoroughbred, racing and international markets. With a diverse range of markets and an ever-expanding UK and International base of customers, for Brent this promotion is both exciting and challenging, as he explains: “I am delighted to take up this position and I look forward to working with our great sales professionals to drive sales forward across all sectors. We have a hard won and loyal customer base and my aim is to work together with our team to achieve further growth across all markets. Without the commitment and support from our customers, many who have been with us from the outset, BEDMAX would certainly not be where it is today. Brent started his career within the racing industry and rode as a professional National Hunt Jockey. This success was followed by 20 years of working as a specialist in the feed industry, where he held the position of Thoroughbred and Performance Equine Manager for a leading company. Now, working within the horse bedding industry, Brent’s key message is to constantly emphasise the important role bedding can play in the well-being of the horse. 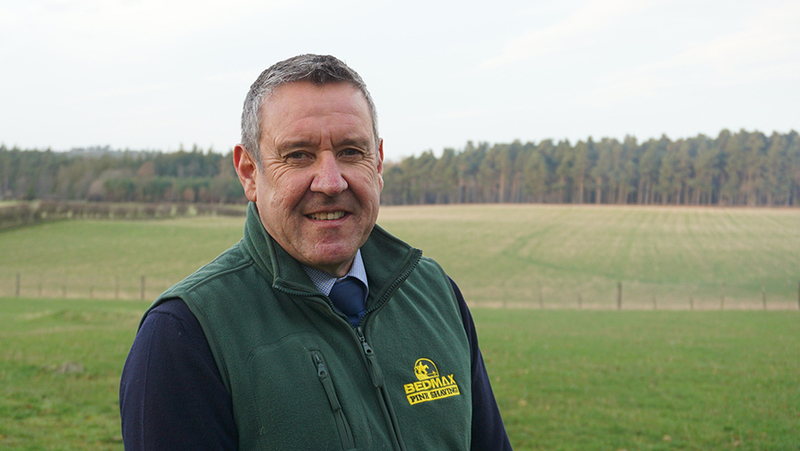 BEDMAX Managing Director, Tim Smalley, welcomed this promotion and commented: “Brent understands the equine industry and has a proven track record of success and I am delighted to appoint him as Head of Sales. I know that his in-depth knowledge and vast number of acquaintances in the industry will be invaluable to the company’s future, as we take it forward.